No matter how old you are or where you are. You are only are thought away from changing your life. Welcome to Be Happy-Be Inspired. If is time to stop and take a look at your life and make a positive change. On occasions we are blinkered to the options and choices we have in our life. Very often we choose the path we have walked many times. A path that is not really taking us where we want to go. These inspirational posts may well help you to see things in a different way. Be Happy – Be Inspired is weekly inspirational podcast. With great interviews. News of inspirational events. The inspirational book of the week and great music the Be happy -be inspired podcast is a great way to bring bring inspiration into your life. Listen to the latest podcast right here. Join the many listeners right here. A series of inspirational audios. Includes interviews taken from the Be Happy -Be Inspired Podcast and a series of audios looking at life. An opportunity to relax too with a number of relaxing audios. A great way to make time for you. Thank you for taking the time to visit Steve Twynham.com. Just a bit about me. I have worked in the area of Personal Development for over 20 years helping people to break limiting beliefs. Let go of the things that have been holding them back and begin to live a rich and meaningful life. During this time I have become known as ‘The Happy Coach’. 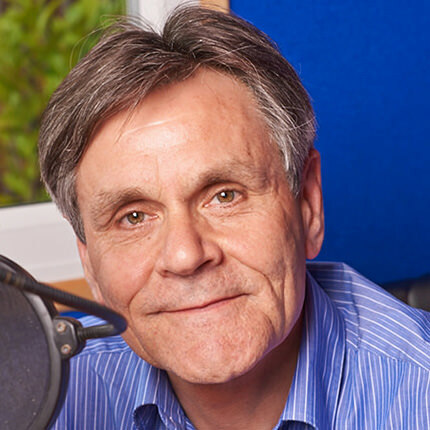 I am also a Clinical Hypnotherapist and broadcaster, presenting on Great Yorkshire Radio and Rhubarb Radio. In addition I produce and present the weekly podcast Be Happy – Be Inspired. I am often asked what is my goal. Simply it is this. To help one million people make a positive change. Be happy. Be inspired. Have you ever felt stuck? Have ever wondered what life is all about as you seem to plough your way through the treadmill of life? Do you wake up feeling energised and look forward to the day ahead or do you worry about the things you have to do? If you are fed up of feeling stuck, feeling anxious,would like to feel and be more confident and be Inspired. I look forward to helping you make the change you want to see and be the person you want to be. Have you ever wondered if things in your life will ever change? In this one hour podcast 'No Storm Lasts Forever' I talk with Team GB's John Lane. Singer Songwriter Emily Maguire, Diane Mitchell Founder of Wonderful World of Wellbeing. All share their inspirational stories and the life challenges they faced. I am also joined by Judith Marples from jmaspirations. Judith shares some great information about how our self-talk affects the way we feel, think and act. If you have ever felt stuck. Think or feel that life will never change. These inspirational stories may well help you take the first steps towards your brighter future. Enjoy the podcast. 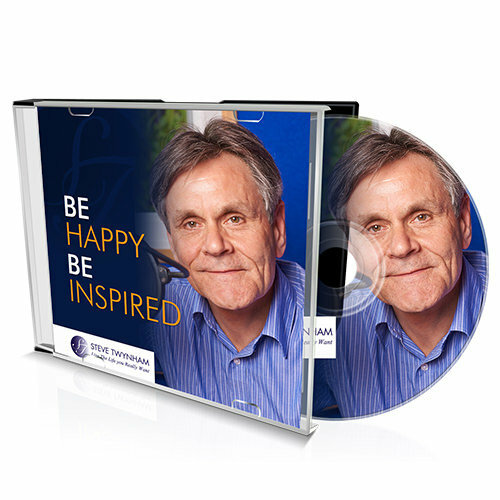 The third volume of the Be Happy Be Inspired programme, in this 20 minute podcast Steve shares a simple tool that will help you achieve the results you want in any area of your life that you choose. Success means different things to different people The Success Cycle is a series of simple steps that will really help you move in the direction you really want to go. The Success Cycle is practical and easy to use. The second volume of the Be Happy Be Inspired programme, In this short six minute audio Steve looks at how we create our own reality and how both optimists and pessimists are both right in how they see the world. Enjoy this short story, then ask yourself…..how do you see the world? The first volume of the Be Happy Be Inspired programme, In this three part audio Steve talks about the two most wonderful days of our lives, the day when we are born and the day we know our reason why. The second track is an interview with Steve Jeffrey and how Steve was going down the wrong path before making a major change to turn his life around. The audio closes with Steve talking with the actress Leandra Ashton about her life and how her dream became a reality. Read inspirational stories and learn more about how you can empower yourself. External things can’t fix external issues. Empower yourself to eliminate obstacles, gain clarity and set achievable goals.